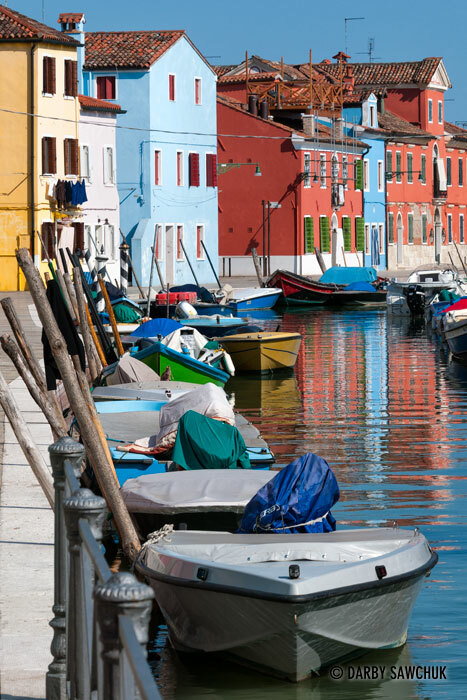 The small island of Burano greets visitors with an unparalleled blast of colour. 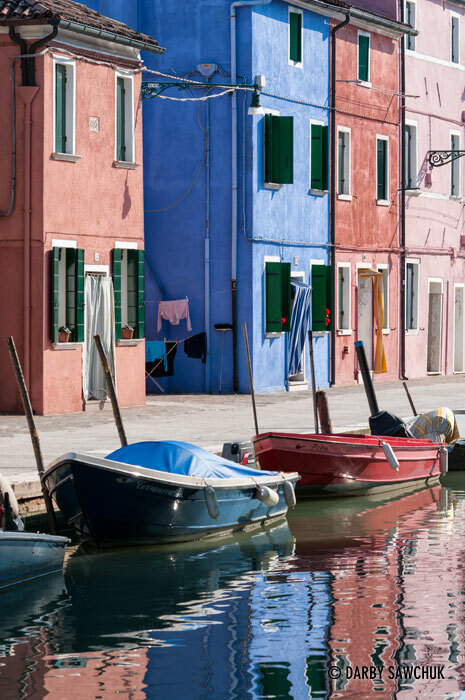 Brightly-hued paint covers every one of the buildings in the small town in the Venetian Lagoon. Venice’s verticality sees numerous areas swathed in shadow even when the sun is at its highest. 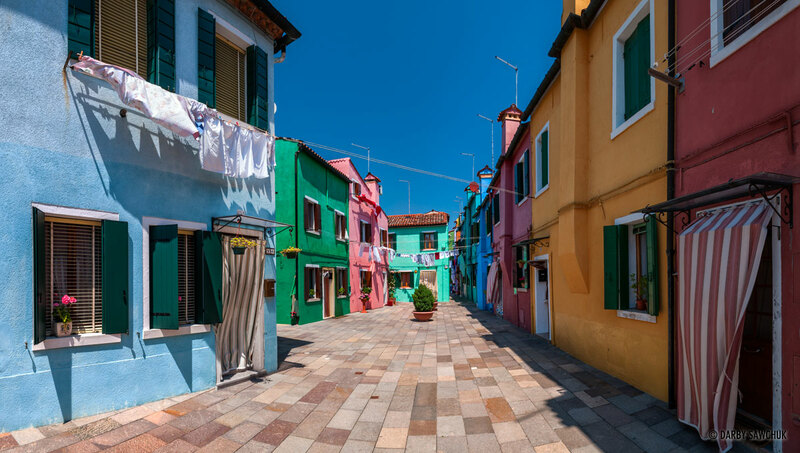 Burano’s lower buildings and more open plan lets the light bounce from the rainbow colours lining the canals. 01. Colourful houses line the canals of Burano, a small island near Venice, Italy. 02. 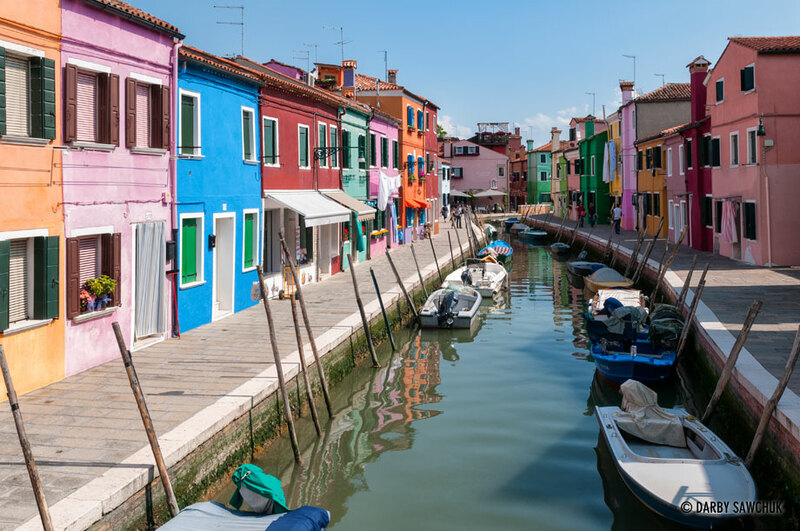 Colourful houses line the canals of Burano, a small island near Venice, Italy. 03. 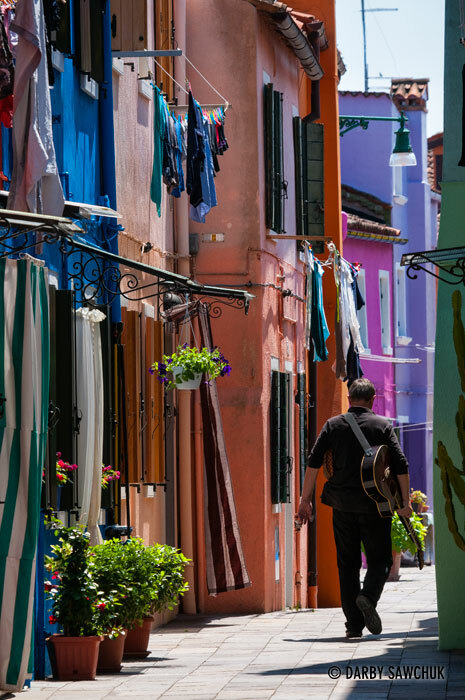 A guitarist walks down one of the brightly coloured alleys in Burano, Italy. 05. 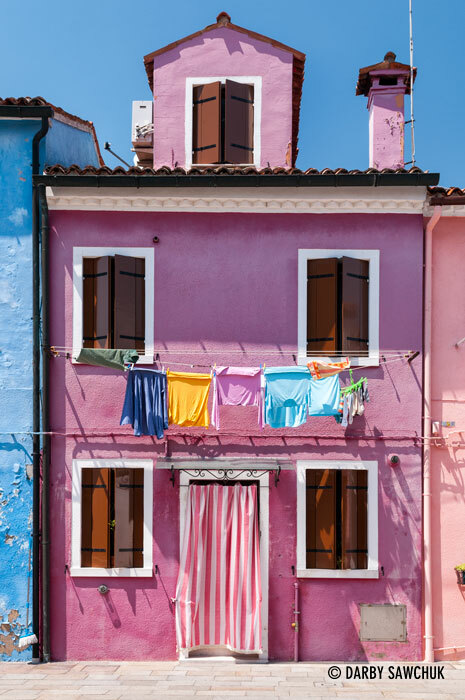 A bright pink house with laundry hung out to dry in Burano, Italy. 06. 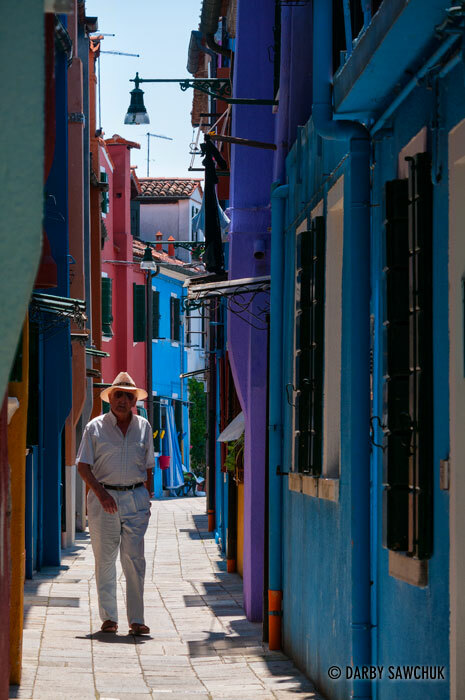 A man walks down a narrow, colourful alley in Burano, Italy. 08. Brightly-coloured houses are reflected in the water of the canals with the leaning campanile of Chiesa di San Martino in the background. 09. 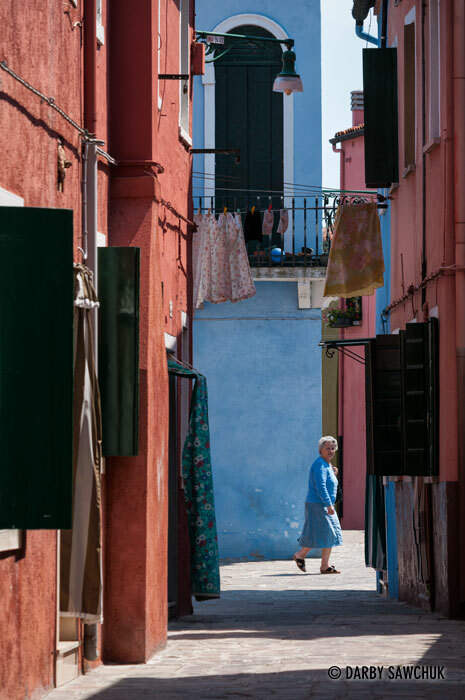 A woman walks through the colourful streets of Burano, Italy. 10. 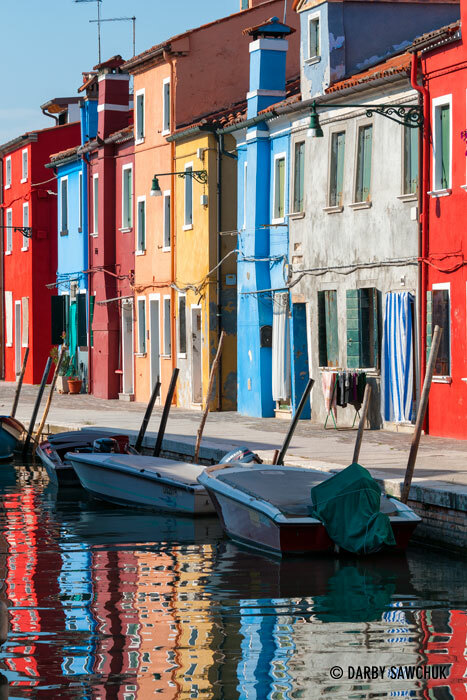 The brilliant colours of the houses are reflected in the waters of the canals in Burano, Italy. 11. 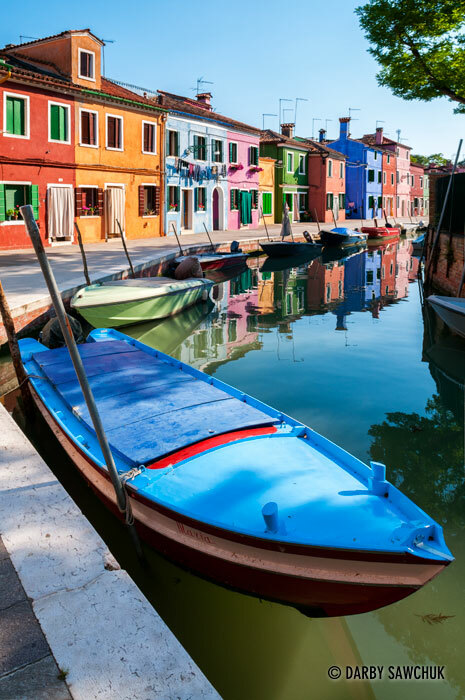 The brilliant colours of the houses are reflected in the waters of the canals in Burano, Italy. 12. 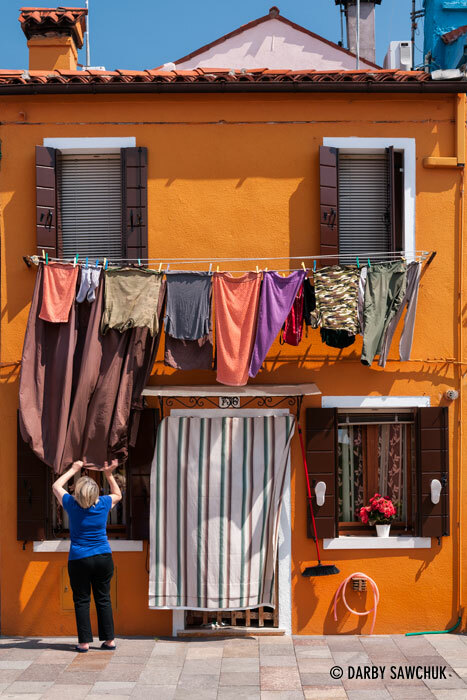 A woman tends to her drying laundry in front of an orange house in Burano, Italy. 13. 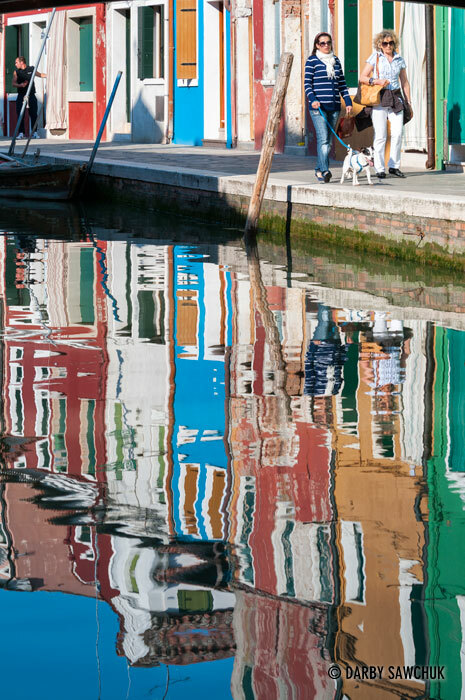 The colours of the houses of Burano dance in the reflections on the water of the canals. 14. 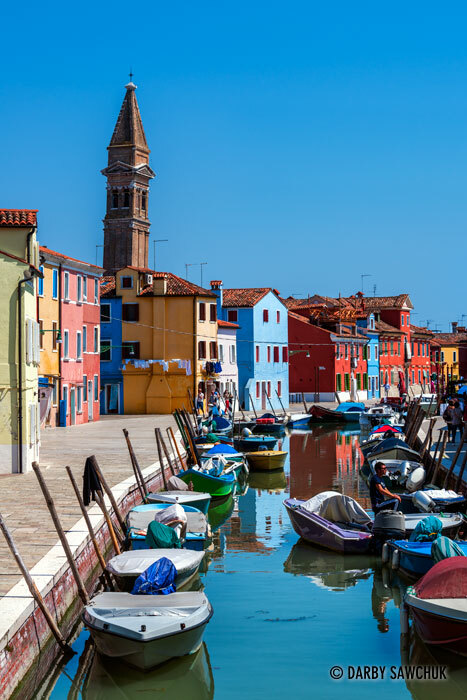 The brilliant colours of the houses are reflected in the waters of the canals in Burano, Italy. 15. 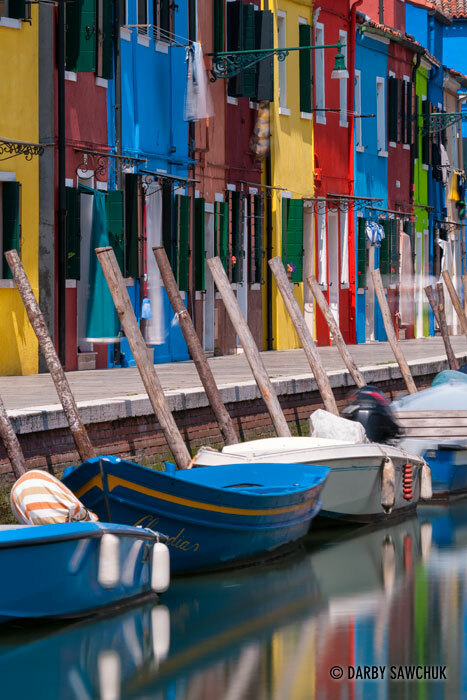 The brilliant colours of the houses are reflected in the waters of the boat-lined canals in Burano, Italy. 16. 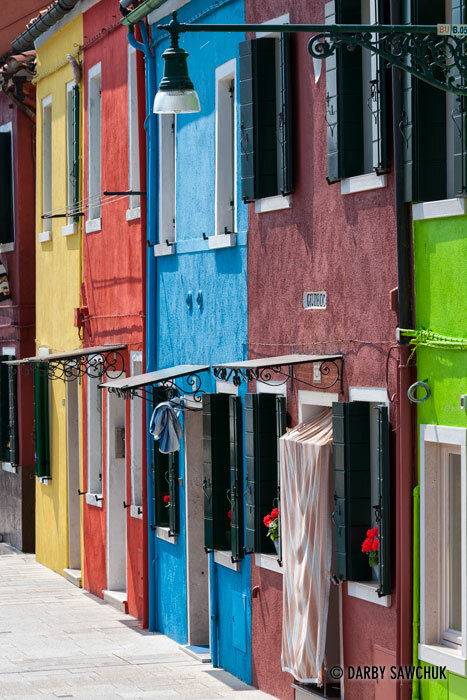 Burano Italy features houses sporting all the colours of the rainbow. 17. Friends take a dog for a stroll along the canals of Burano Italy. 18. 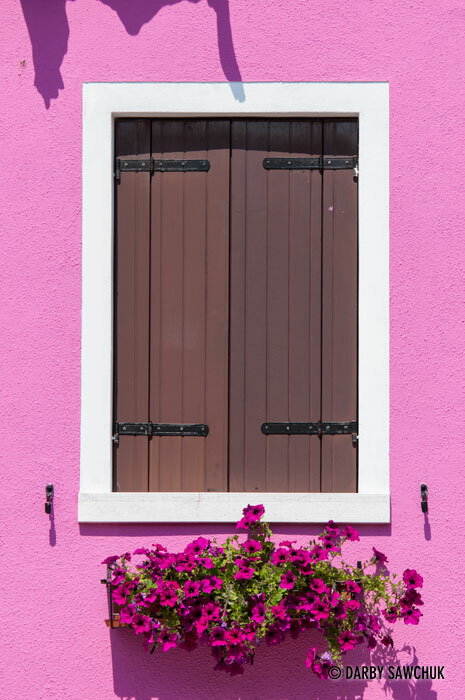 The window of a bright pink house in Burano, Italy. 19. 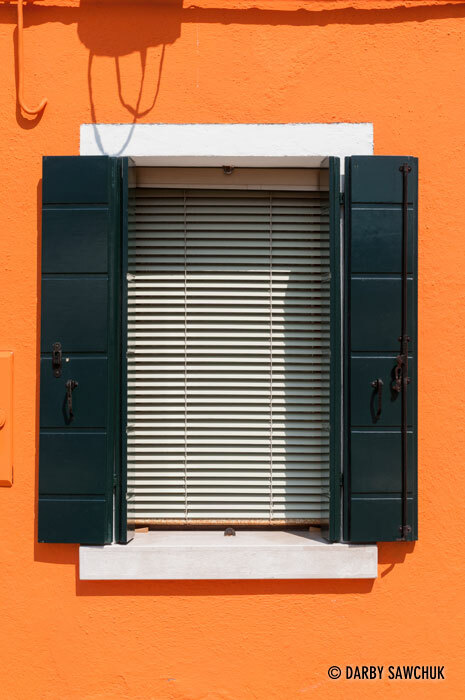 The window of a bright orange house in Burano, Italy. 20. 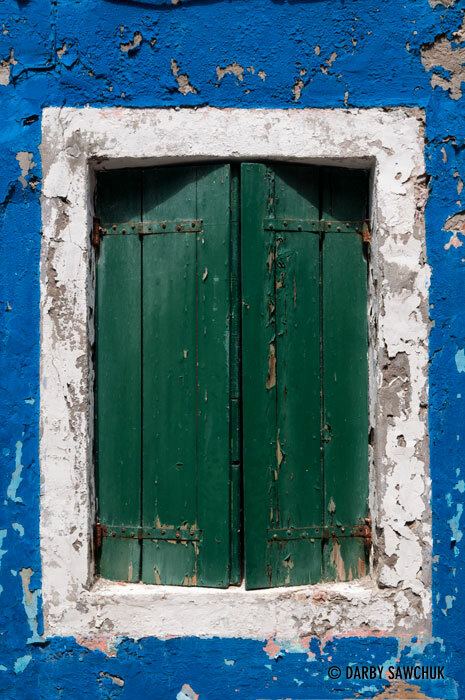 The window of a sky blue house in Burano, Italy. 21. 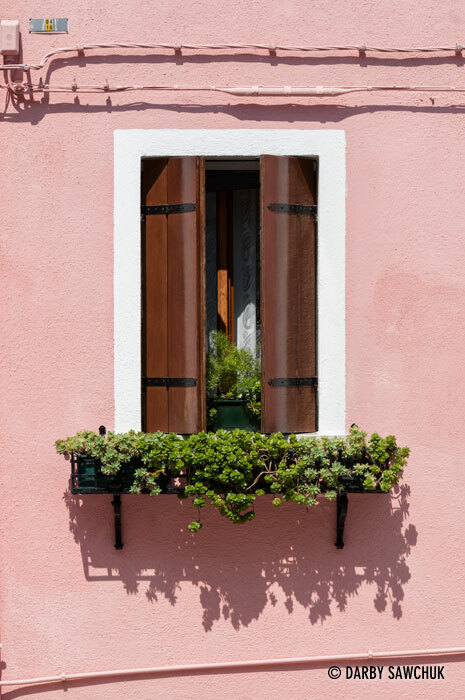 The window of a pink house in Burano, Italy. 22. 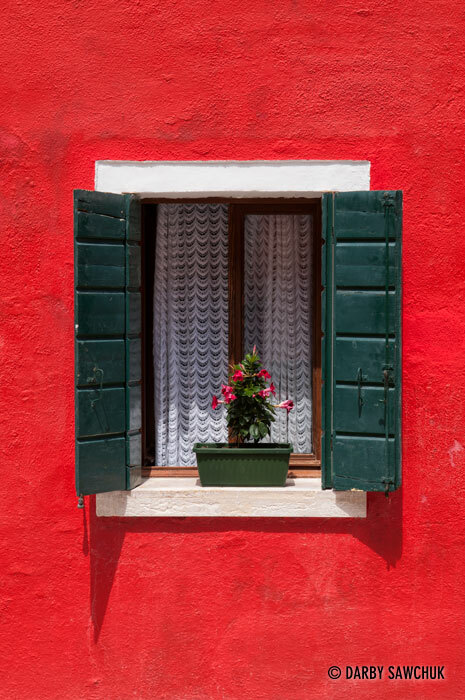 The window of a bright red house in Burano, Italy. 23. 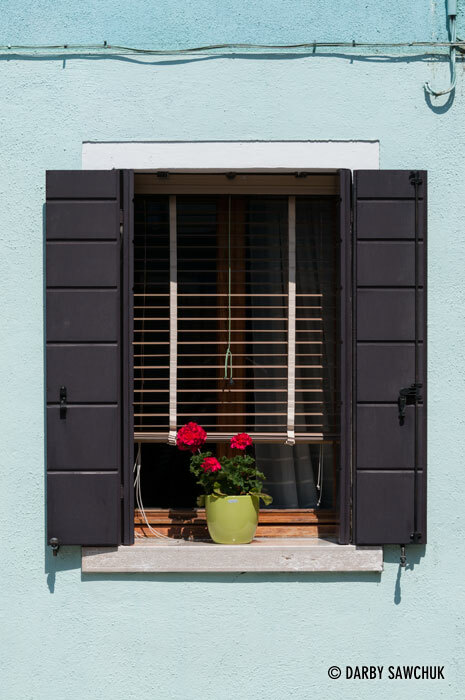 Paint flakes away from around a window of a bright blue house in Burano, Italy. 24. 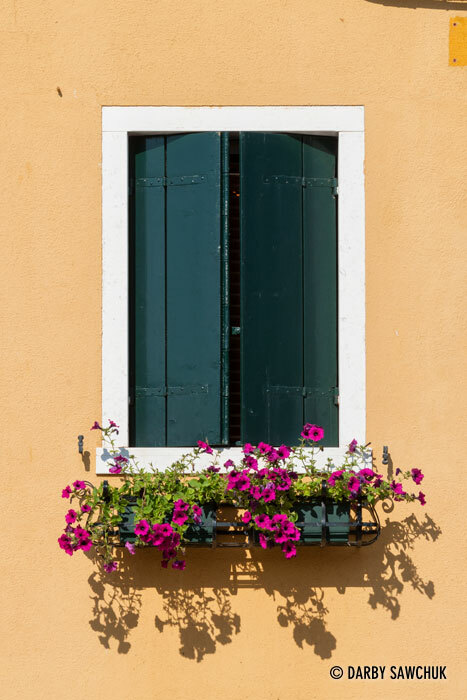 The window of a yeloow house in Burano, Italy. 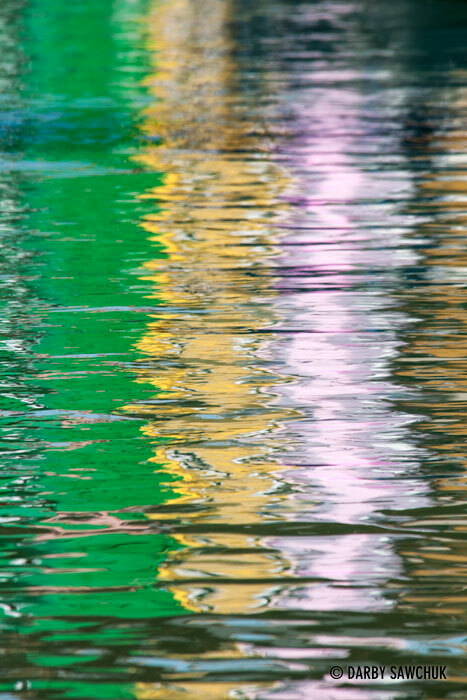 Keywords: photos of burano, images of burano, pictures of burano, photos of venice, images of venice, pictures of venice, photos of canals, landscape photography, travel photography, cityscape photography architectural photography, venetian, italy, italian, fine art prints, stock photography.